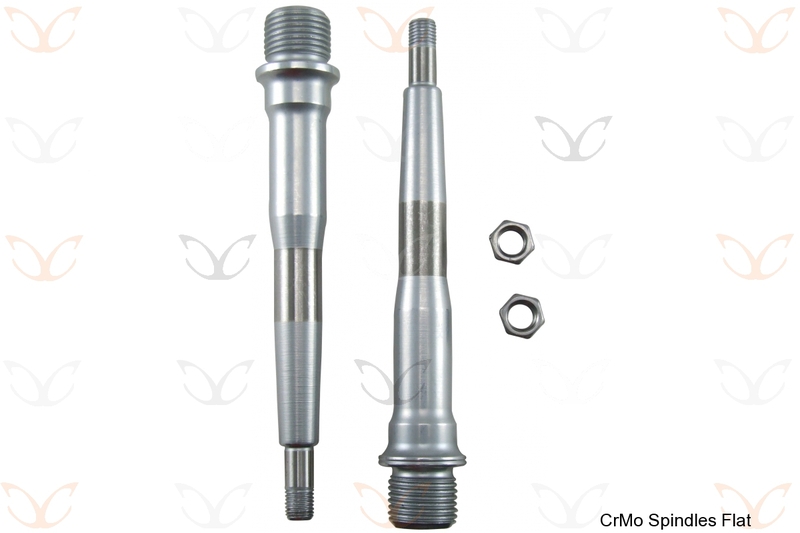 CC-PP02SC: 2 x 9/16 inch CrMo spindles and end nuts for flat pedals. Overall length 105mm. 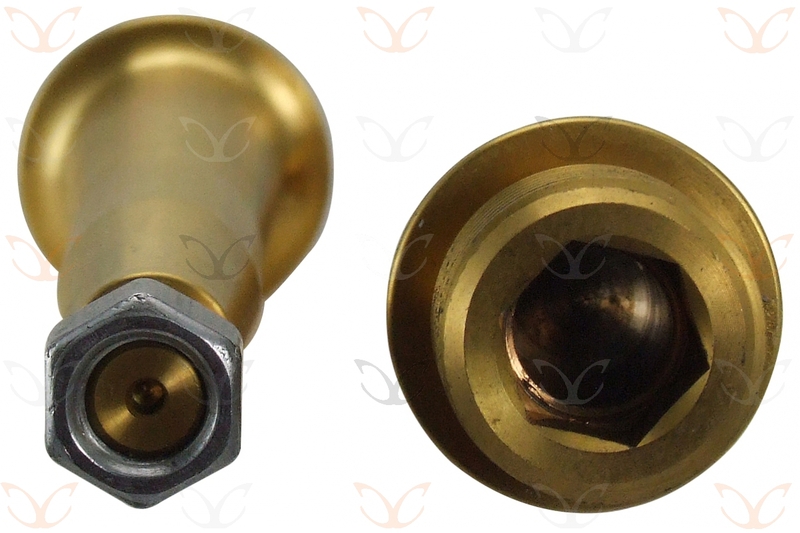 3/8 inch (8mm) Allen Key at large end, 1/4 inch (6mm) thread at small end. CC-PP03ST: 2 x 9/16 inch Ti spindles and end nuts for flat pedals. Overall length 105mm. 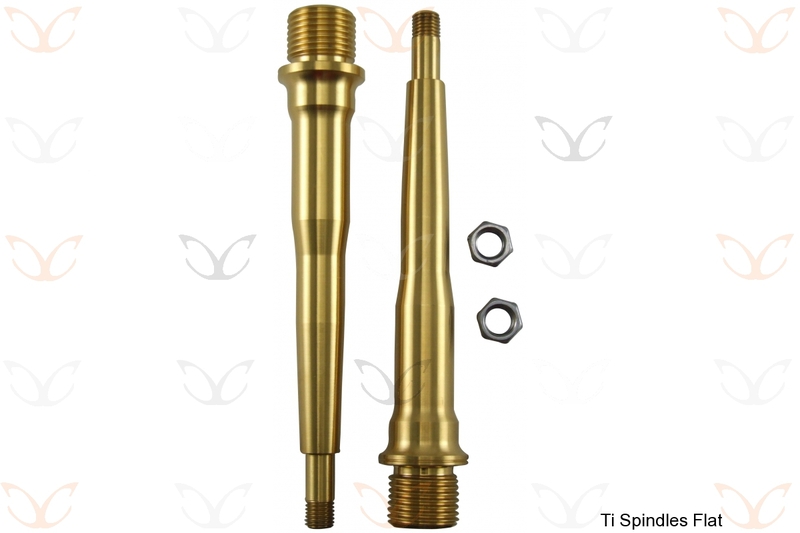 3/8 inch (8mm) Allen Key at large end, 1/4 inch (6mm) thread at small end. 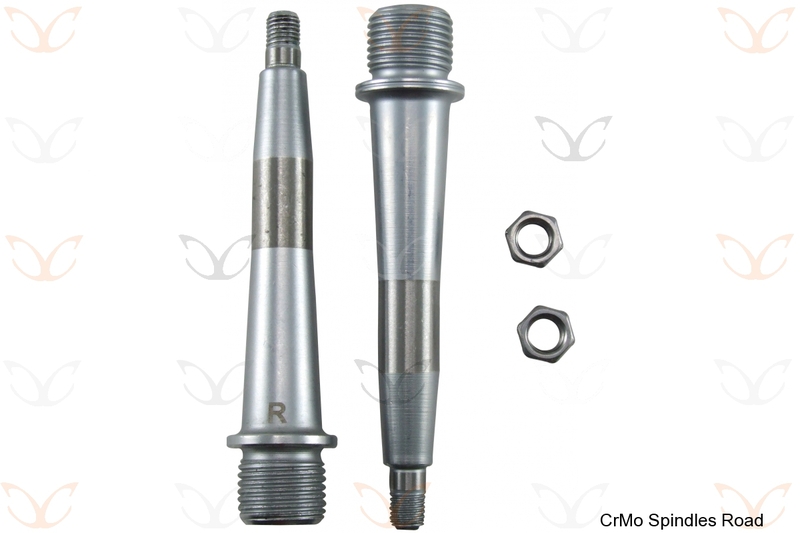 CC-PP04SC: 2 x 9/16 inch CrMo spindles and end nuts for road clipless pedals. 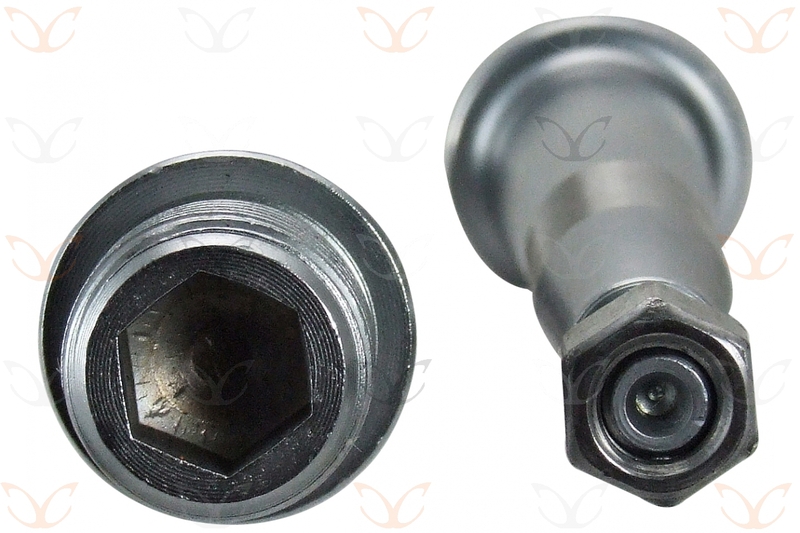 Overall length 84mm. 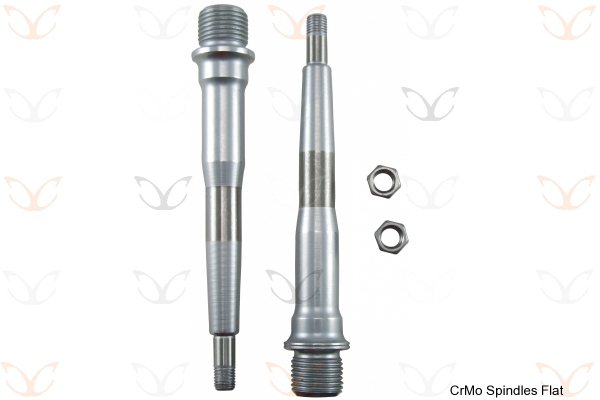 3/8 inch (8mm) Allen Key at large end, 1/4 inch (6mm) thread at small end.